This is probably the angriest Holiday Gift Guide you’ll read this year. I’m leaving ugly full URLs up cause I’m in a “people are stupid and won’t understand what to click through” mood. I’ve written about Saga a bunch of times here. It gets me most of my site hits, as this is a popular new series, and people are looking for intelligent places to discuss it. Sadly, when they land here, they get me yelling at people to read a series, while barely being able to write about it coherently. “It’s awesome, Star Wars, Fantasy, blurghrgargle of enthusiasm” – Paul DeKams But, yes, if you’ve got a friend or family member on your gift list that is into epic tales that blend genres, buy the first volume of Saga for them. 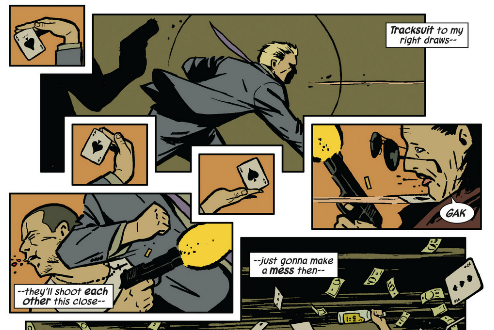 Criminal by Ed Brubaker and Sean Phillips: For those who are into crime and or pulpier stuff. I should stress this is NOT for your Sue Grafton/James Patterson mystery enjoyers. This is for folks who have enjoyed anything made by creators like Tarantino, Chandler, Leonard, Hammett, or Ellroy. YES. I am recommending Hawkeye yet again. Because it is great. This is for anyone who enjoyed Joss Whedon’s Avengers. For anyone who is into detective-y folks getting punched in the face repeatedly while trying to solve a mystery. It’s probably got some crossover with the people who would enjoy Criminal. Buy it in print at your local comic book store. Christopher Nolan’s Batman series had some serious cred with mainstream audiences for being so serious…so…real (I disagree with both simplistic mis-readings of the films, but enjoyed them immensely). Well, here’s some Batman books that are in a similar “real-worldy Batman” vein. The definitive origin for Batman. An obsessed man who achieves his physical and mental peaks through practice and hard work, beginning a mission to root out corruption in Gotham City. Nothing super hero-y about this tale. This is a good buy not only for those who have enjoyed the Nolan films, but also the animated series from the 90s, as Cooke’s artwork is very similar to that show. Another simple concept series: a former criminal (Catwoman), seeks to do right and live a better life. I’ll probably follow up with some more holiday gift recommendations, including…books about comics! WHAT? So, spread some holiday and comic cheer, and stay tuned for more. If you’re reading this, and think none of these recommendations really apply to the people in your life, drop a comment about what you’re looking for, and I’ll see if I can come up with anything. 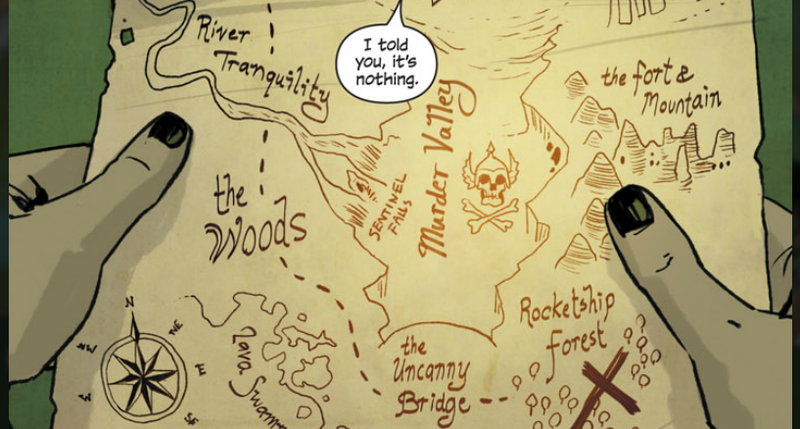 Also, love how ‘Gak’ is such a universally useful word in the comic world. Reminds me of the (sorry for mentioning) ‘gak-gak’ zomb at the start of Walking Dead. Gak is indeed great. 🙂 Let me know what you think of Criminal!